Josh Taerk (pronounced Terk) was born in Toronto, Canada. His new song “Beautiful Tragedy” broken the Billboard Top 40 Pop Charts at #38 on the BDS/Billboard Top 40 Pop Indicator Chart March 18th. 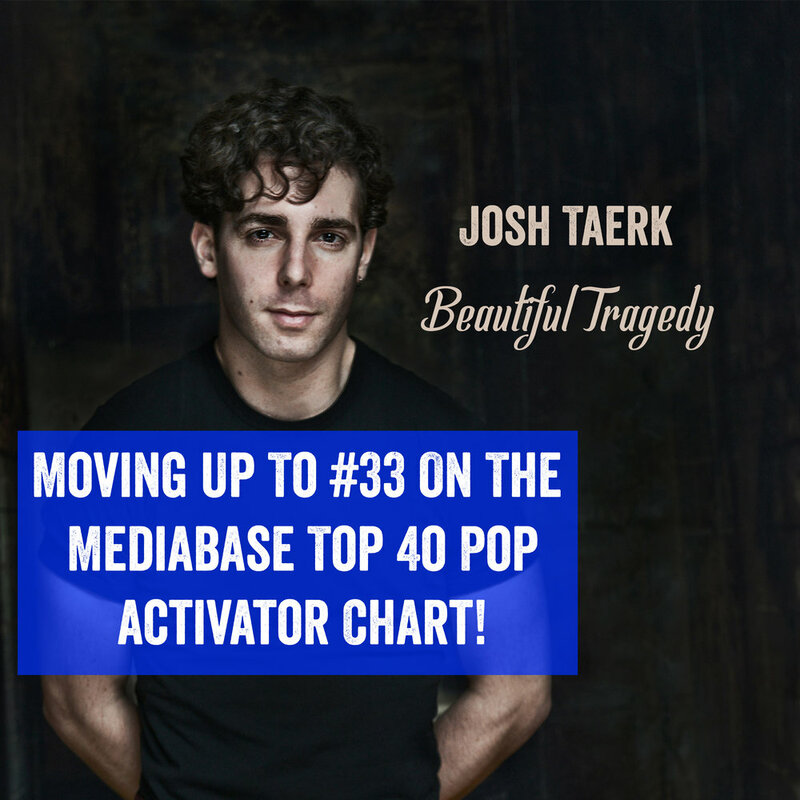 Josh’s song also spent 3 weeks in a row in the Top 40 on the Mediabase Top 40 Pop Activator Chart! “Beautiful Tragedy” has already received rave reviews, has been streamed over 40,000 times on Spotify, and has been played on over 100 radio stations across The UK.